Oil spills and similar maritime accidents are serious emergencies with a range of legal and practical implications. Many typical responses of shipowners and their insurers – including arrangements for clean-up, compensation, salvage and wreck removal – are shaped to a great extent by international law and practice. 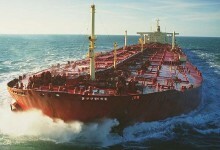 Liability to pay compensation for oil pollution from tankers is based in most parts of the world on international laws which came into force in the 1970s and have since become very widespread. Bunker oil pollution is also subject to international laws which are similar in certain respects. One common feature is to allow pollution claims to be brought directly against insurers, who partly for that reason normally take a relatively active part in claims management and other aspects of incident response. Though these international regimes are simple in concept, many complications have been encountered over the years. Insurers have faced recurrent challenges in meeting expectations of prompt and adequate compensation whilst controlling the financial consequences. Their decisions have often had to be made under a combined weight of media, political and commercial pressures, sometimes including long detention of the ship and its crew. Marine environmental incidents are not limited to oil spills. They include accidents in the carriage of various types of hazardous and noxious substances, which in some cases may involve risks of fire and explosion as well as contamination and hazards to health. Often salvage operations have been the first line of defence to prevent pollution after an incident. Issues have commonly arisen both as to the amounts due to salvage contractors, and as to whether they are payable by P&I insurers on the one hand or hull and cargo underwriters on the other. Sometimes the manner in which they are borne depends on intricate issues in the field of general average. The response to an incident is usually affected by coastal state laws giving powers of intervention by authorities. These may or may not allow a casualty vessel to have access to a place of refuge, and they will normally control (or at least oversee) salvage operations as well as measures to clean up any pollution. In modern times there has been a dramatic increase in the cost of wreck removal operations, partly because advances in technology have made them possible in increasingly challenging circumstances. This has increased the scope for coastal state authorities to make wreck removal orders which in the past would not have been considered reasonable or necessary. This trend may be expected to continue after entry into force of the Nairobi Convention, which seems likely to raise some important and complex issues. Often the most practical way of dealing with a wreck or contaminated cargo is to take it offshore and sink it in deep water at sea. However an obstacle may lie in international laws which restrict dumping at sea: these were designed to control disposal at sea of land-based waste, and their effect in the aftermath of maritime casualties is often unclear. Similar issues affect the shipment of waste for disposal on land overseas, as highlighted by the Probo Koala incident in 2006. Maritimes casualties have often had a sequel in which shipowners and their insurers have brought recourse claims to recover the cost of an incident from third parties who may be wholly or partly responsible. Examples are cases involving collisions between ships, and those where charterers or local maritime authorities may be liable for a grounding if caused by hazards at an unsafe port. Recourse claims in such cases can be very large if they include not only the shipowner’s own losses but also amounts he has been liable to pay for pollution or wreck removal. A recurrent issue has been whether the third party can rely on limitation of liability laws, and if so how they apply to the different types of claim for which the shipowner seeks an indemnity.